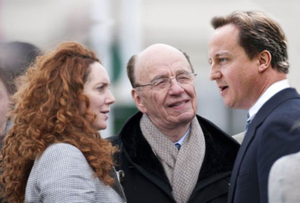 Quote of the day: 'Rebekah Brooks has no transport to the Leveson inquiry. They just draw a pentagram on the floor, chant her name three times and she appears.' The Twitterati machine has already started churning out the funnies as former News International chief executive gives evidence to Leveson over the phone-hacking scandal.